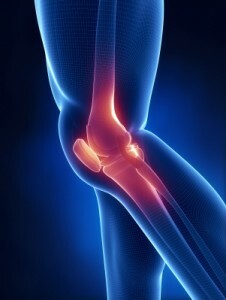 Some conditions such as a torn ACL or meniscus tear from an acute injury require a surgical referral. The majority of knee conditions, however, such as bursitis, tendonitis, patella tracking disorders, ITB syndrome, and others can be managed effectively at the Boise Spine Center. Usually, treatment requires stretching the structures that become tight (often the ITB), and strengthening the muscles that become weak (often the VMO). The use of Foam Rollers and Graston tools can be helpful with the stretching component of tight structures. In addition, soft tissue therapy and PT modalities can be helpful in managing pain and restoring function. The doctors at the Boise Spine Center are trained to treat a wide range of injuries and pain syndromes. They treat injuries of the neck and back as well as the extremities. Acute injuries such as sprains and strains, as well as chronic, degenerative conditions can be effectively treated conservatively at the Boise Spine Center. Some conditions require additional medical treatment, and the doctors at the Boise Spine Center work closely with specialists in all areas of medicine and help patients get to the right provider when a referral is indicated. Additionally, many orthopaedic surgeons and neurosurgeons refer patients to the Boise Spine Center when surgery is not indicated or for post-operative rehabilitation.